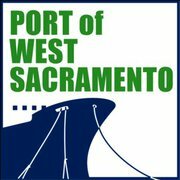 As a major port in the west coast, the Port of West Sacramento is centrally located among the busiest transportation grid of major highways, airports, and national railway systems. With an extensive amount of industrial and agricultural goods shipped in and out their harbors everyday, the Port of West Sacramento’s aging, decentralized surveillance system was just not cutting it. A major upgrade was in order, but with the installs of highly advanced cameras and more demanding surveillance applications, the Port decided that DNF Security’s line of video storage, video management engines (VME) and video workstations were the best choice to transition their surveillance environment to a more efficient system. Learn more about how our surveillance solutions helped the Port of West Sacramento on this latest case study. This entry was posted in IP Surveillance, News and Press Releases and tagged case study, dnf security, IP Surveillance, port of west sacramento, surveillance, video surveillance. Bookmark the permalink.